After saying initially that they’d made an honest mistake in demolishing part of their pre-American Revolutionary War era home on White Oak Shade Road without a permit, its owners now have put in for a permit to raze the entire structure. Elena and Dmitiry Kochin purchased the Cape-style home on 1.54 acres in December for $840,000, tax records show. In February, the town issued a cease-and-desist after the roof and second floor of the home underwent an non-permitted demolition. When the Kochins put in for an after-the-fact permit, town officials decided to forgo imposing a 90-day delay on it because doing so would only leave the home open to the elements for longer. Members of the Historical Review Committee said at the time that during a walkthrough of the property with the owner, architect and contractor, everyone expressed that what remained of the home needed to be protected. Dmitiry Kochin told the committee that his contractor read the town’s building permit application wrong, though the only permit granted to the homeowner at that time was for “interior alterations only” in the applicant’s own words. The after-the-fact permit was granted April 3. It isn’t clear why the Kochins now are pursuing a full demolition or what their plans are for the property. No further building permit applications have been filed with the town and the Kochins could not be reached for comment. Preservationists have said the White Oak Shade home appears to be one of 27 to 29 pre-Revolution buildings that still stands in New Canaan. 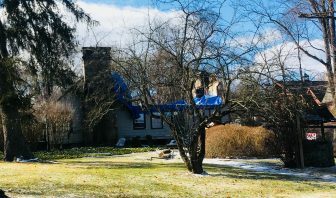 Under the Town Code, anyone who opposes a planned demolition has 15 days following notice in a newspaper to file a formal written objection with New Canaan’s chief building official. To the reader who submitted a comment on this story under the ‘ncconmom’ email address: My confirmation email to you bounced back as undeliverable. 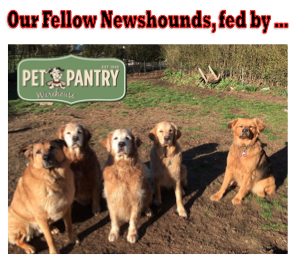 I ask that readers when commenting please use full and verifiable first and last names. I also need a working email address so that we have an open line. That has been a policy since October. Take a look at the comment stream. Please email me at editor@newcanaanite.com if you would like me to update your username and approve your comment. Thank you. I agree. Demolition should not be approved. While I support historic preservation in our great town, I understand why the owner is seeking to raze the structure. Regular errands took me past this house several times during the month of March, at which time we suffered 4 serious winter storms. Every time I drove by the home looked worse and worse due to storm damage. Regardless of if the original demolition was a mistake or not, it’s obvious this home is far past the point of being “salvageable”. Any character that might have been spared by the initial demolition is long ruined by the significant storm damage. We should maintain the historic integrity of our town, but lets also be practical as we go about it. We as property owners all know how soft this real estate market has been and continues to be. To put this home back to original condition does not make financial sense. Given it’s currently an eye sore, I support the full demolition. Willful and intentional destruction – so sad another piece of history lost.